Move over Earth Hour. Get a life Edison Hour. Today is Ohl Day. Sure, Earth Hour shed some light on the consequences of mindless resource use and the benefits of behavioural change in a finite world. But replacing light bulbs with candles is not entirely climate-friendly. It’s not the electricity that’s the problem, or the lumens, it’s how these resources are obtained and at what cost. And 1 hour out of 8760 is ridiculous. Edison Hour, on the flip side, grew out of spite. Spite of Earth Hour, and the perceived insinuation that resource use and technology is bad. A convenient counter-saint was found in Thomas Edison, the great American inventor, to highlight the immense benefit that technological advancement has made to societies. The origin of Edison Hour is the Objectivist movement, whose moral code is rational self-interest. Enter Russell Shoemake Ohl. 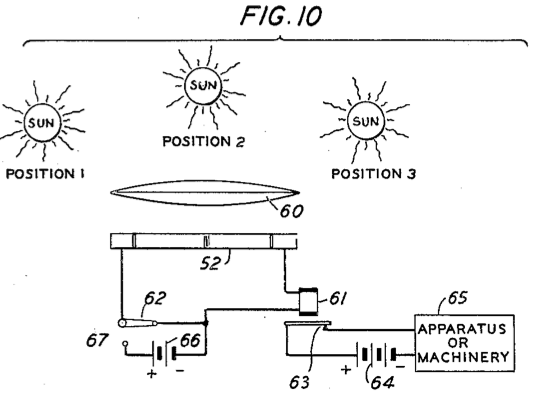 American research engineer (1898-1987), Ohl patented the first practical solar cell in 1946. The key technological leap was the discovery of the silicon P-N junction, which raised photovoltaic energy conversion efficiency above 1%, and paved the way to solar electricity. The point of Ohl Day is to recognise the importance of science and technological advancement in helping society live within a finite world, with renewable energy. Resource use and technology are not bad per se; indeed society wouldn’t be society without them. But certain types of resource use and technology do erode our quality of life, and that of subsequent generations. And since Earth and Edison Hours are at night, I figured a concurrent Ohl Hour was a bit pointless. PS. Wittier though it would be, FaraDay wouldn’t have the necessary emphasis on renewable energy that Ohl Day does.